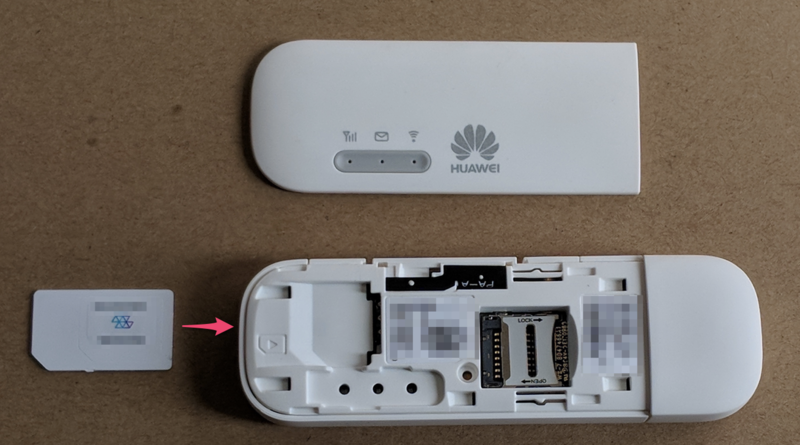 Huawei's E8372 LTE Wingle is an amazing piece of tech that can be used as a storage device, a USB modem, and a WiFi hotspot. The Wingle is extremely versatile and as such is a fantastic tool to carry around in your bag. We have seen these devices used for personal internet access while traveling, but also as a great fit for solutions that require a high degree of mobility such as traveling demos, one time use digital tools like real estate scanners, and even remote deployments where regular internet access is hard to come by. 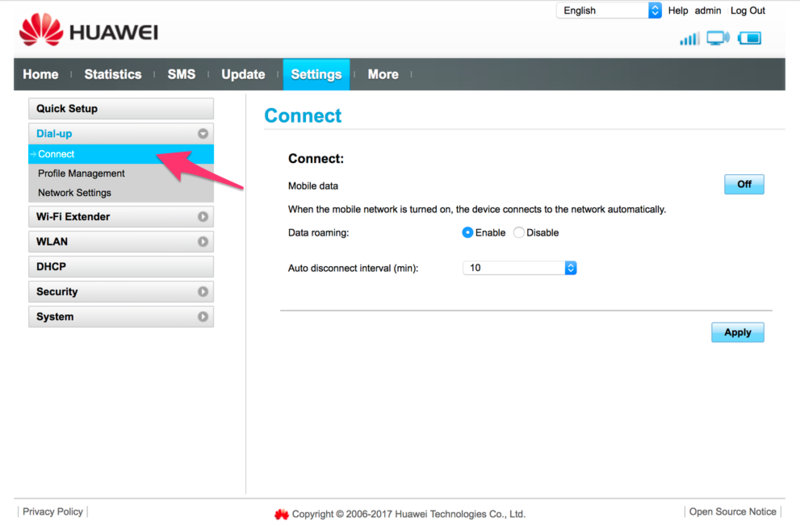 In this guide we go over the setup required to get the E8372 working on the Hologram network using our global IoT SIM. Once your SIM shows a green dot that indicates that its in LIVE status on the Dashboard we are ready to move on to the Wingle. 2) Next we need to insert the SIM into the device. The E8372 takes a Mini SIM which is the largest notched size. 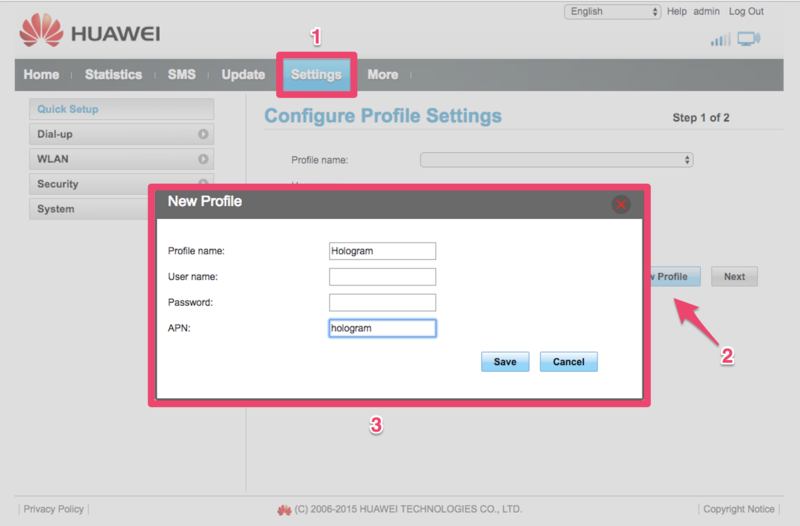 Make sure to follow the orientation diagram on the device and push the SIM card until you can no longer push it farther. At this point you might want to take a picture of the information located by the SIM card slot as we will need it later. 3) Close the dongle and power it by plugging it into a USB jack. You should see the LED status indicators light up. When the LEDs settle you should see a green light on the WiFi indicator. This lets us know that the device has power and the WiFi network is up, but is having issues connecting to the network. 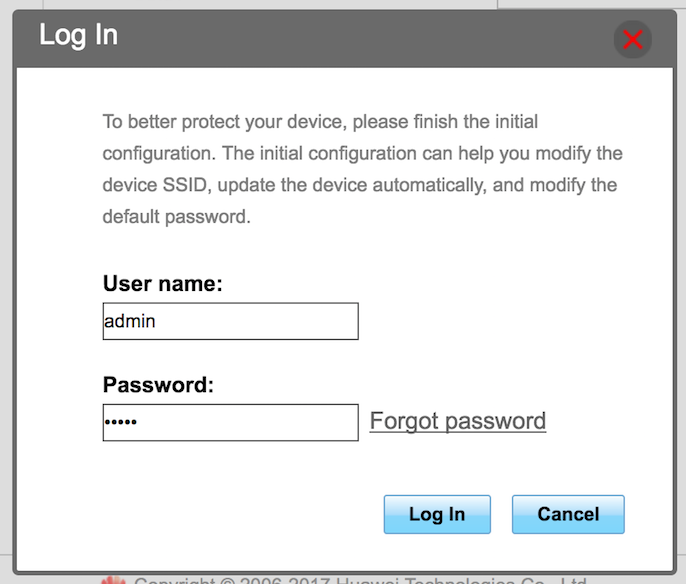 To solve this we need to set the device's APN. 4) On your computer, look for the network that is created by the Wingle. 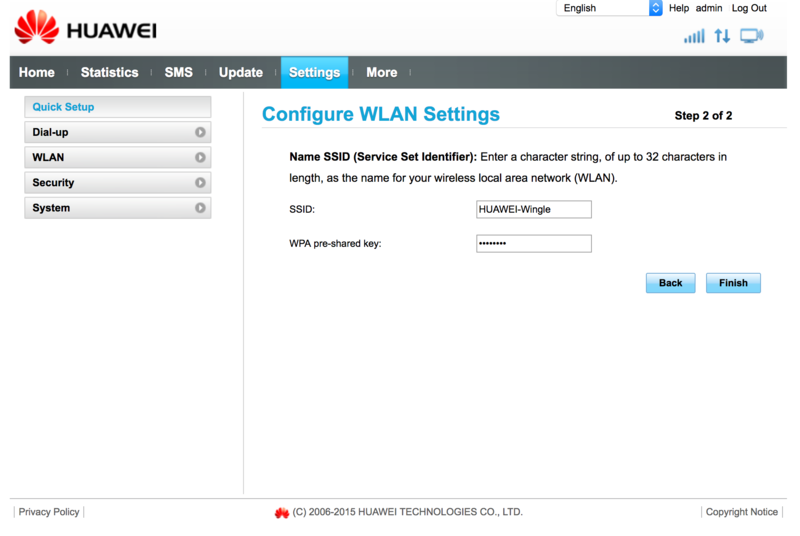 It's name should be “Huawei-Wingle” or something along those lines. 5) Once we are connected, open up an internet browser and go to the page: 192.168.8.1 . You might be prompted for a password. If so, that can be found in the information panel beside the SIM card slot. If you are following this tutorial you should have a picture of this information. Once you are done entering that you should have access to the administrator dashboard. Credentials for this should be in your Wingle's documentation. 6) Next go to the Settings page and create a New Profile which is part of the default Quick Setup page. Here we will need to set the profile name to Hologram and APN to hologram (mind the capitalization). Hitting the Save button will close the pop up dialogue. 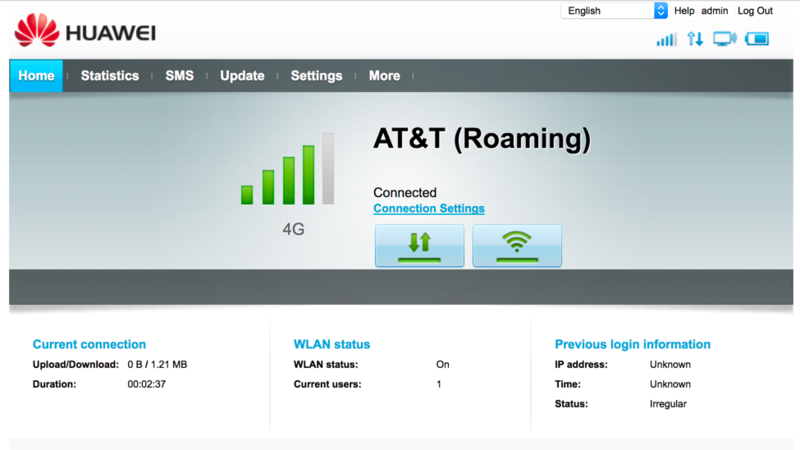 7) Clicking Next will take you to a new page where you can modify the WiFi network name and password. Once done hit the Finish button. 8) Next go to Dial-Up > Connect to make sure data roaming is enabled. After hitting Apply you will get a pop-up dialog telling you that data roaming could lead to extra charges. Roaming is a necessary part of Hologram's network and as such is not something you will be charged extra for. Once the settings go into effect your Wingle's network LED should light up in steady green for a 2G connection, steady blue for a 3G connection, or steady cyan for a 3G+/LTE connection. At this point we are done with the setup.